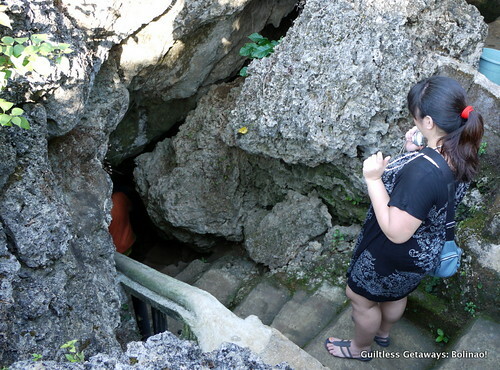 Guiltless Getaways: Bolinao Pangasinan, A Crazy Overnight Weekend Itinerary! 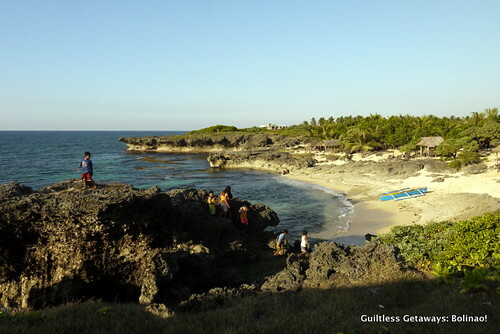 Bolinao Pangasinan, A Crazy Overnight Weekend Itinerary! 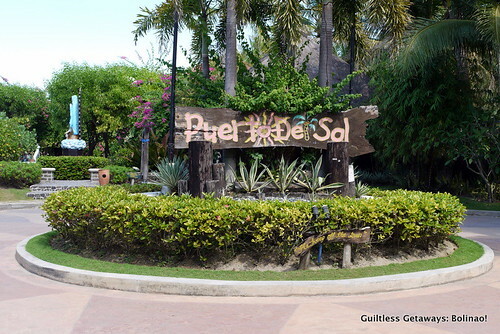 Have you heard about Puerto del Sol Resort and my controversial post about them last year? 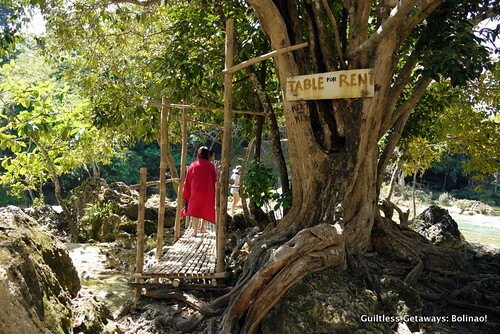 Well, I had this opportunity to go visit Bolinao and guess where I stayed?! For real haha. I do believe in coincidences and chances so here goes my post on a wonderful overnight trip =) Here's an easy itinerary for those of you who want to follow my Bolinao Pangasinan adventure. 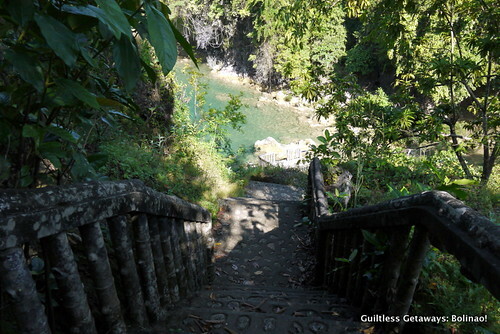 It is located on the western part of North Luzon! The feeling of just tracing one edge of the Philippines with my eyes like a virtual map was so exciting that I can't wait to do it again and again hehe. 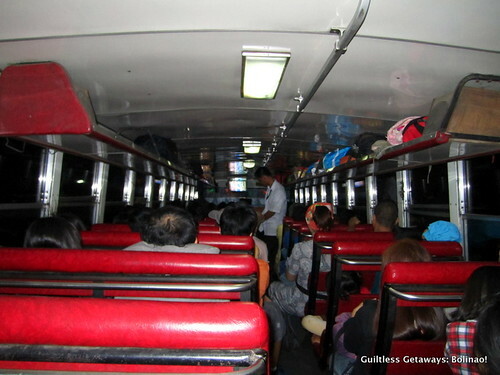 I tried all ways of sleeping but there were just too many stops, bumps, people alighting, people unloading, loud Pinoy movies showing (I couldn't really understand what they were saying coz I was at the back) on the small TV and occasional weird smell coming from outside haha. I felt like a zombie waiting for time to pass and tired of watching people sleep. One of the more cool things that happened was the picture below - we were traveling so fast and all I could see were different shades of green in the windows passing by. I was groggy by 6 a.m. from no sleep, hypnotised and in a twilight zone hahaha. Fast forward to stretching my legs and standing on not-so-shaky ground, all I remember was walking towards this church. It's called Saint James the Great Parish. We exited from the gate left of this picture and had breakfast! 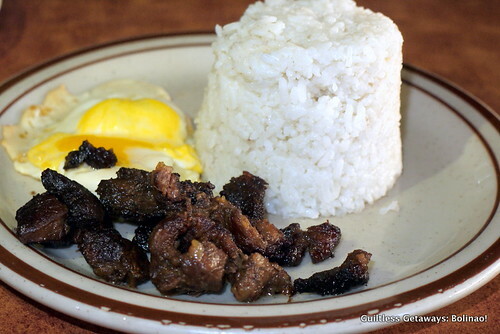 There's nothing like eating beef tapa after that long journey. Haha. One consequence of being awake for all those hours was my tummy growling constantly from hunger..
Only after that did I realize that I finally made it to another part of the Philippines on an impromptu trip haha. 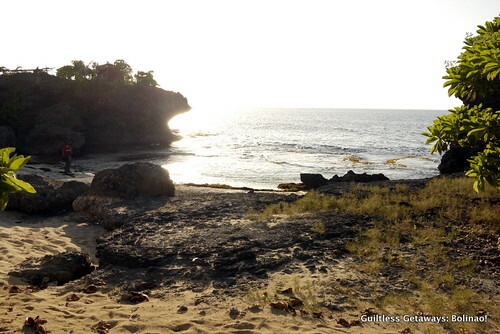 Bolinao - never did I realize that I'll meet you this soon. The Puerto del Sol van picked us up from the church and took us to two interesting places that were on the way to the resort. Waterfalls! 9:10 a.m. Stopover #1 - Tara Falls! The van drop-off is here out of nowhere..
You walk a few meters then you'll see this staircase and you'll hear the sound of water from a distance. A few more steps down and you'll start to see bits of it.. I think more than a hundred steps haha. Basta, you'll get there! Tada! 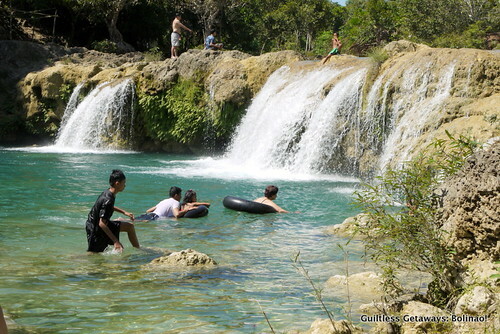 Tara Falls in Bolinao! I took some photos and did get into the water just to sit. Some parts were rocky, slippery or deep. 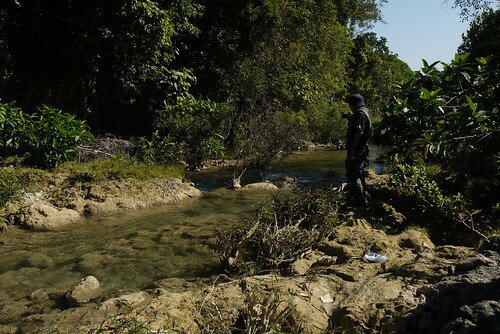 I liked the tail / stream part to the right of this picture where the water is shallow and flowing. It's a bit too hot and open though so, you-know, sure nognog hehe. We were already ready to go by 9:40! 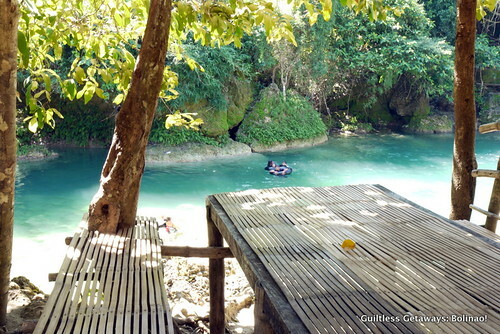 10:20 a.m. Stopover #2 - Samang Norte Bolinao Falls! We got to the van, still dripping (nowhere to change) and off to the second waterfalls in Bolinao! I think I dozed off a little even in that condition due to lack of sleep haha. 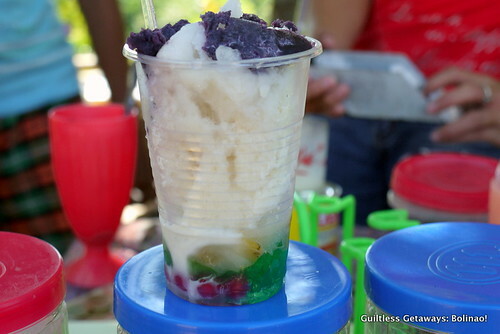 When we got to the drop-off for the second falls, we paused for some P15 halo-halo. It becomes good, especially if you can't take the heat of the sun anymore. 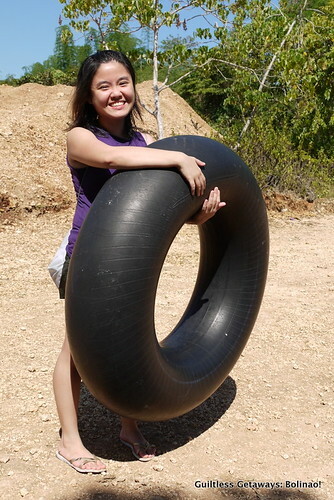 We rented a big tube here as well to take with us to the falls (too big, rent a smaller one, most parts of the falls is deep for me). 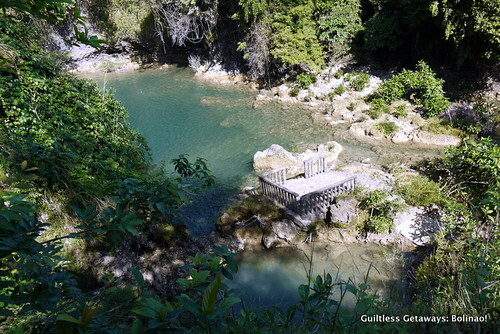 and walk on makeshift bridges to get to the tables and reach the falls. On the right side, there's this. If you walk a little farther to the left, you'll get here (catch basin of the one on top picture). Here's a view from the shaded top tables. We stayed here until 12 p.m.
toilet and bath. Oh, I so wanted to sleep but there's still half a day left haha. I got to take a bath and freshen up though so I survived. After lunch at the restaurant, we went to the Wonderful Cave (which was only 10 minutes away by van from the hotel). 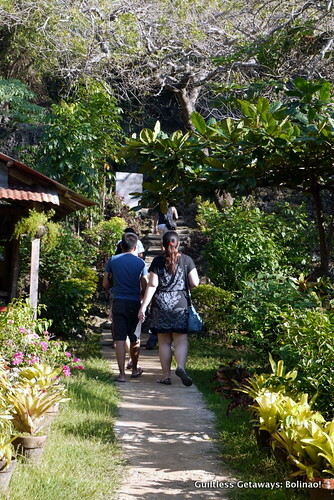 Puerto del Sol Resort has tour packages like ours from this point on for its guests. 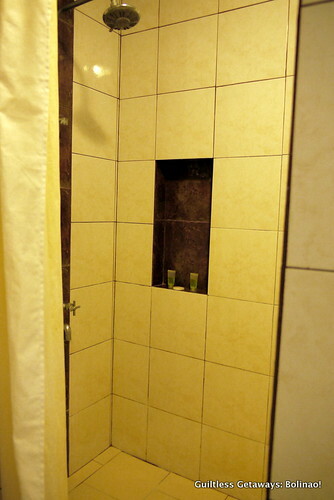 They also have packages for the waterfalls tour whole day. 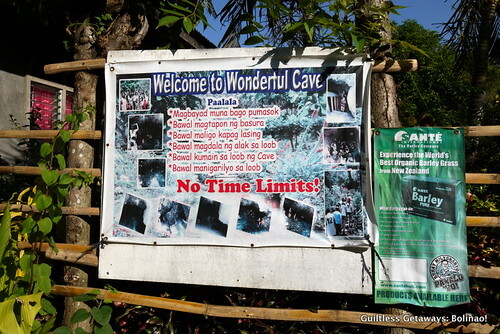 For our tour starting from the Wonderful Cave, it's called Patar Land Tour, Cost: P300.00 per person with service (van), P175.00 without service, minimum of 5 people per trip, I think entrance is already included. The son of the man who discovered it in his property showed us around. 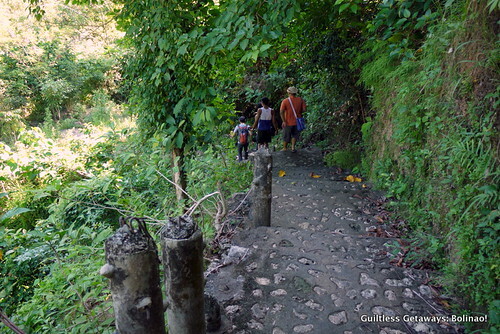 We just walked past his house and headed straight to a short path they created for the cave. 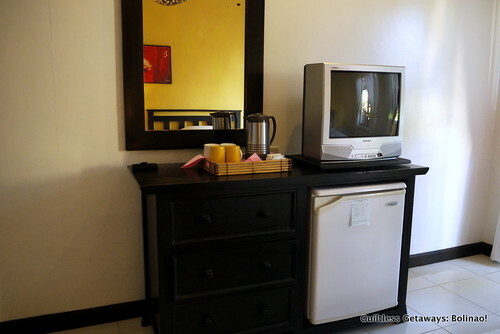 There's an entrance fee of about P70 for walk-in guests. It's really just a small hole and you just walk down around 20 steps. but the place did not disappoint. 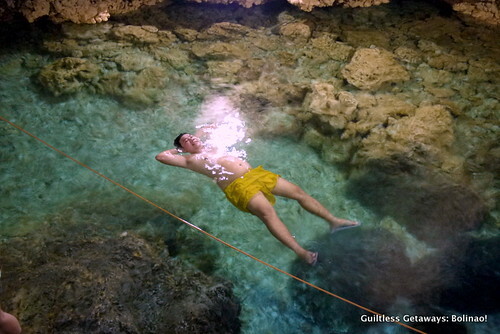 The water was super clear (fresh and cold) and we did float easily (water is around 4-5 feet deep when we came). I can stay here all day, do a cave party =) They shot some scenes here in a movie before. Kuya took us to a small secret chamber. 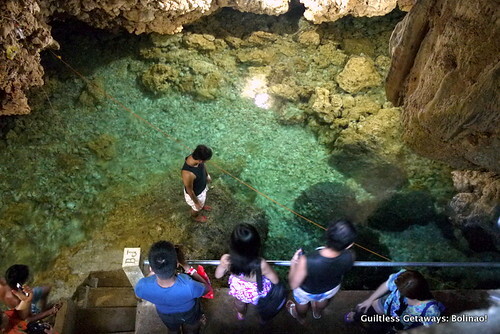 He also told us that there's an underwater hole which will lead to a bigger cave (where they shot Born to be Wild (I think June 15, 2011 Caves and Rays episode) according to Kuya). Ten minutes away from the Wonderful Cave is the Sea Cave (at the beach). 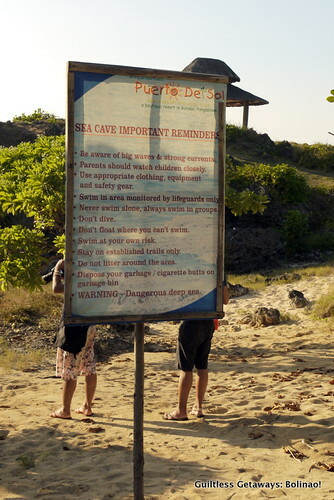 I think it was high tide so we weren't able to go all the way to the cave. I heard you can do an overnight there. It's at the right side of this picture after the edge after the formation out in the sea. We walked to the top of this cottage instead owned by Puerto del Sol to get an amazing view of everything around us. 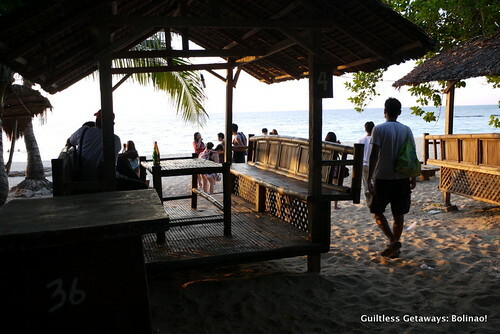 The feeling of tracing of the Philippines that I talked about at the start of this Bolinao post? I felt it here. You see the girl in the picture, she's "studying for a test" with this view! Talk about the calm and the quiet! 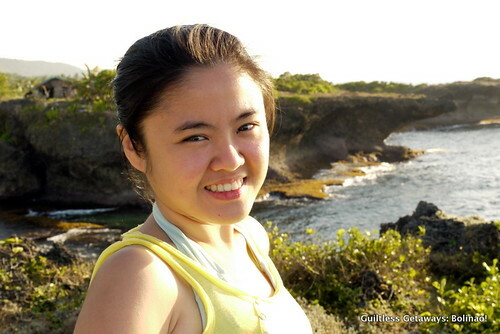 To my left as I face the South China Sea, there are some of the Patar rock formations and the Sea Cave. To my right are more rock formations and a slightly bigger beach. 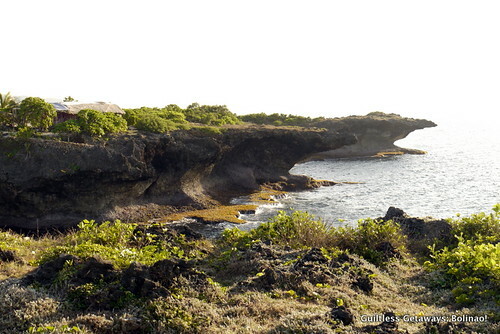 Ten minutes away from the rock formations by van is the Cape Bolinao Lighthouse, also in Patar. 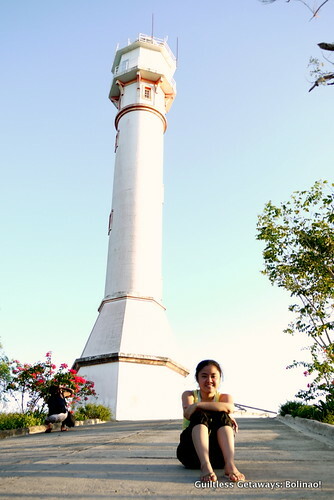 It's the second tallest lighthouse in the Philippines after the Cape Bojeador Lighthouse in Ilocos Norte. We raced against time (5 minutes by van) to get to the Patar Beach. 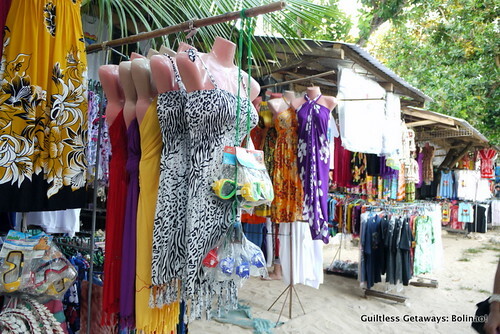 You know you're there when you see these shops. or head straight to the sand like me. Haha. They call it a white beach although I wasn't sure about the color as it was getting dark pretty fast. I was also getting dizzier by the minute haha. 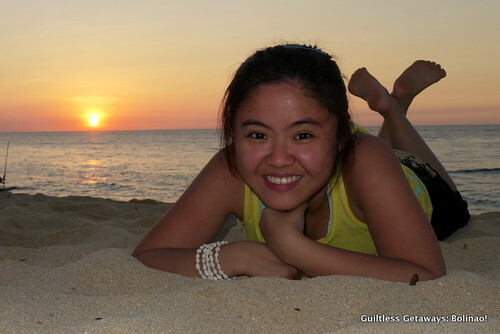 You see we were in Patar Beach for the Bolinao sunset! We watched the sun go down and I actually slept for a while there in the cold sand - all beat after surviving for so long in the heat and doing all those fun stuff without sleep! Haha. Good thing that recharged me a little for dinner and pool time at Puerto del Sol Resort later that night hehehe. Wow... sarap naman ng bakasyon! Hi, Hyman. Puerto del Sol has. 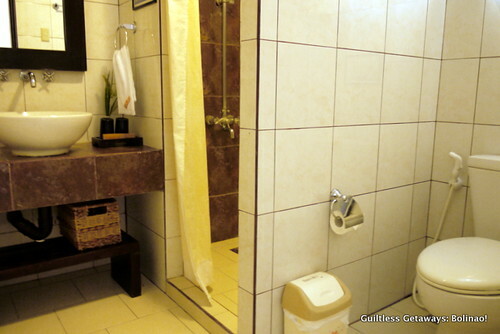 That's the only one I could think of at the moment and it's cheap already at less than P1000 per person. oo iba talaga pag linulubus-lubos. 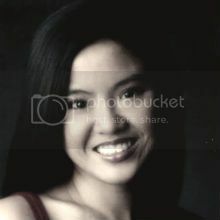 kahit walang tulugan ok lang pero ngarag hahaha. pag nabore ka mafefeel mo yung antok hehe. oooh sayang medyo biglaan kasi cya tsaka bad ang geography ko dun ko lang nalaman na malapit pala hundred islands haha. I've also visited Bolinao and puerto del sol. 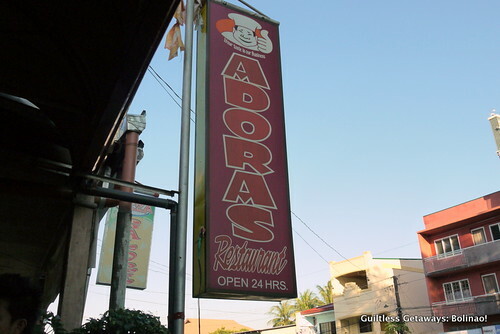 Coming from Manila, it was really worth the trip. I'll definitely go back there again. 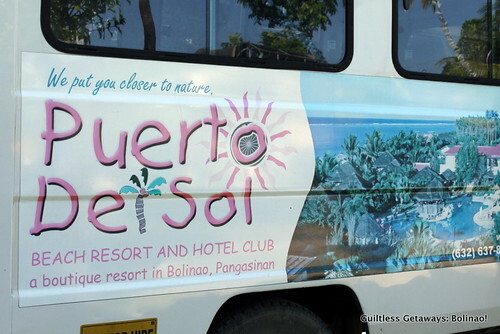 I've been to pangasinan and we also stayed in puerto del sol. The place was just relaxing and beautiful. We went to Wonderful Cave too. I love swimming there. The water is so clear. We had limmited time so we did't have time to explore like you did. I will be back here surely! 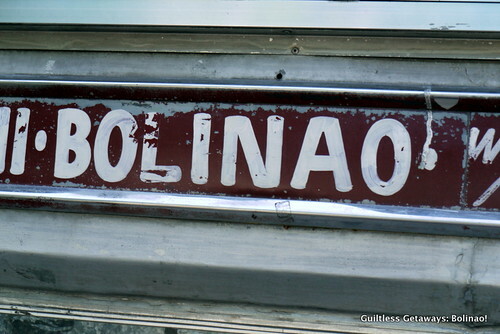 I have not been to Bolinao or any part of Pangasinan. 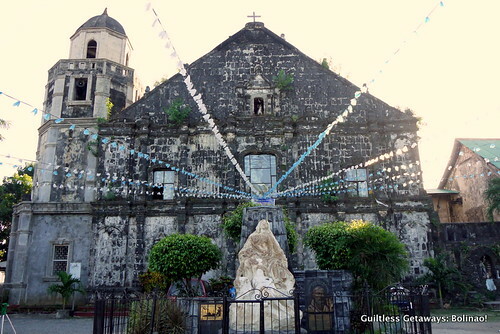 Why not visit the Shrine of our Lady of Manaoag? 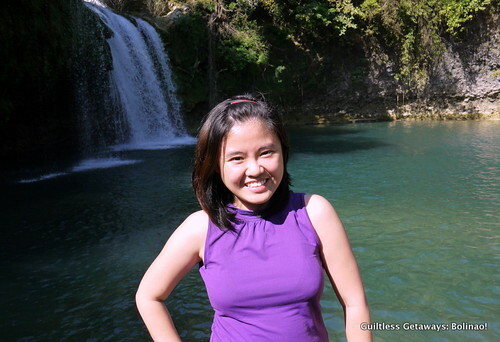 I wish I can also visit the caves, falls and witness the sunset in Bolinao. 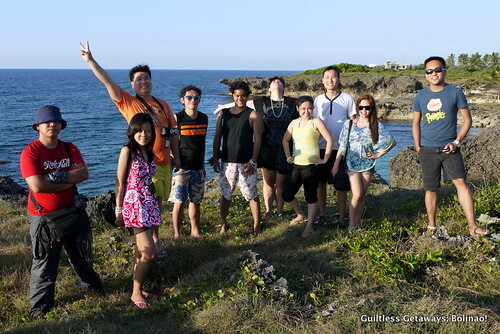 What about you, have you been to Bolinao or any part of Pangasinan? 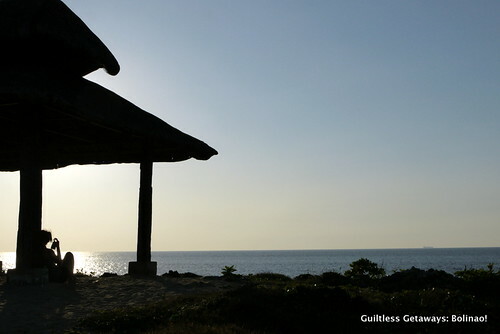 If not, would you like this Bolinao itinerary? - Definitely! It covers a lot of activities in a short period of time. 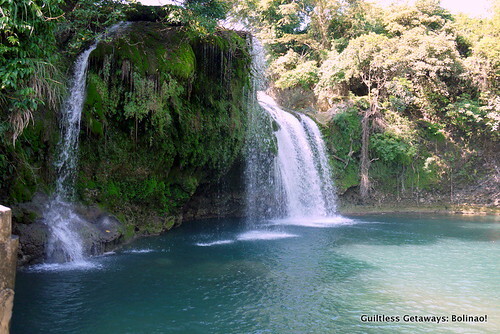 I would definitely love to see the Tara and Samang Norte Bolinao Falls! What other activities would you add? 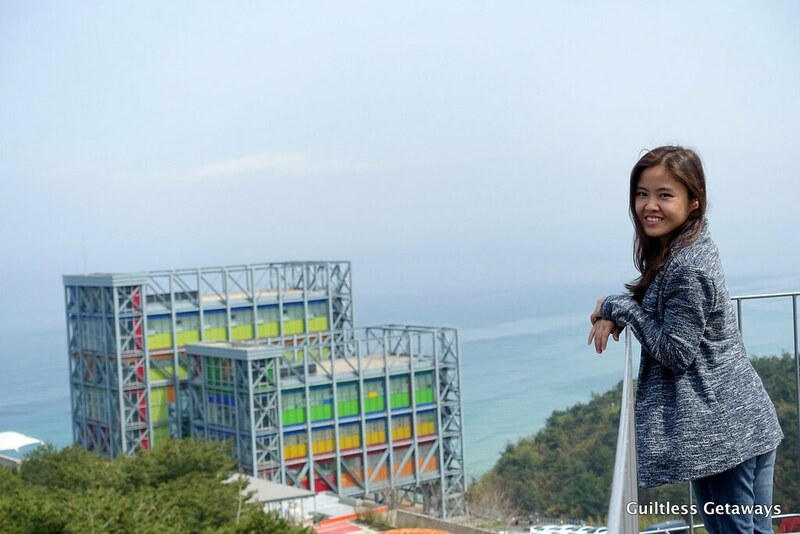 -If I could squeeze in some more activities, I'd love to add cliff diving if that's possible. 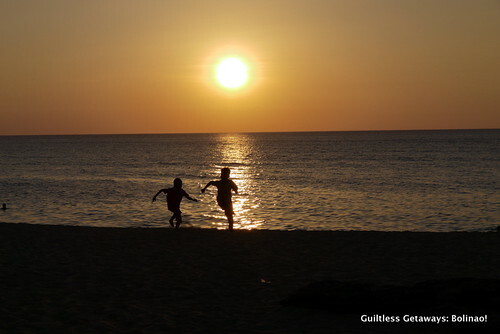 Or maybe a bonfire on the glistering sands of Patar White Beach for something romantic. parang wala akong nakitang puto! You're so lucky to visit these places. Never been there.I hope soon. hi edward. 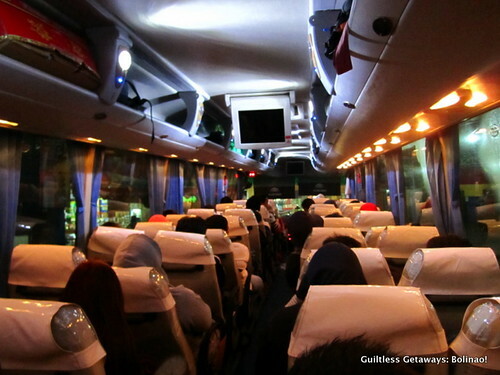 i put my expense breakdown - which is the bus fare only since this was a sponsored trip. you can check the hotel rates then add in a bit for transportation to the places you want to go to..
BEST CAMP GROUNDS IN TAMBOBONG AND OSMENA, PANGASINAN ! 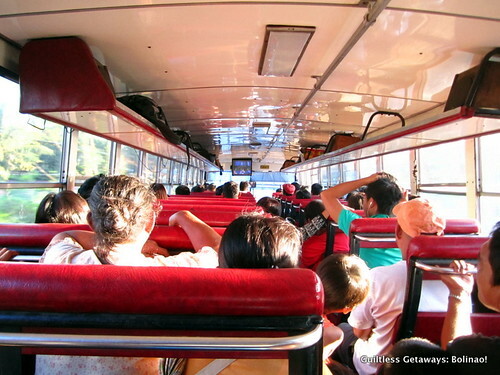 *Island hopping fees depends on where you want to go. *Pitch your tent only on designated areas pls. 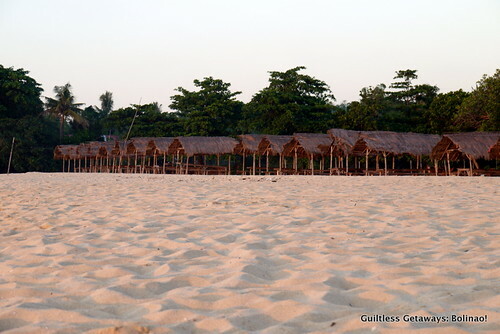 YOU CAN VISIT THIS WEBSITE FOR MORE INFORMATION IN OUR LITTLE BEACH OF TAMBOBONG. 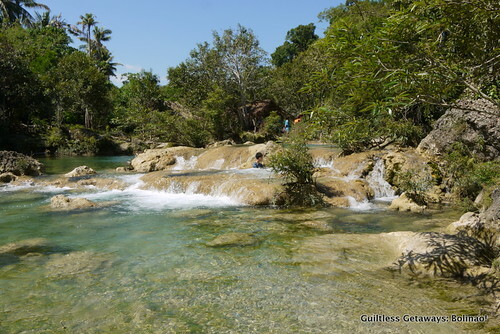 Meron po bang CR na pwedeng pagpalitan dun sa Bolinao Falls? Enjoyed reading your post. 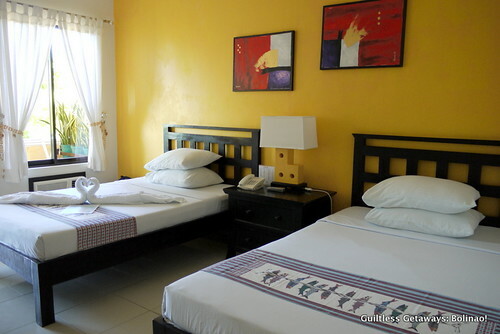 I've never been to Bolinao and we are thinking of staying at Puerto del Sol. Got some ideas of what to do while there. 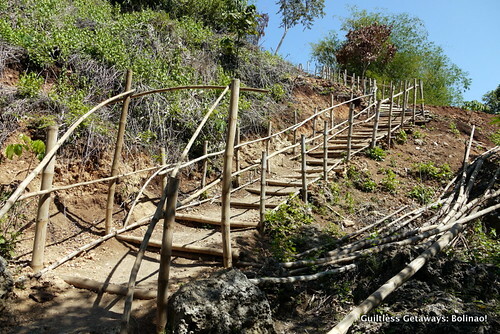 Planning to visit Bolinao this June. May I ask, nung pinickup kayo ng puerto del sol service and as you mentioned you visited the falls in Bolinao, did they charge you with that?